Infusing PDA Technology into Curriculum is a unique one day, 6-hour course that provides educators PDA training, with all the tools necessary for learning the operation and capabilities of the PDA and for integrating this exciting technology into K-12 classrooms. Available both online and through instructor-led classes, Infusing PDA Technology into Curriculum is full of easy-to-follow tutorials, interactive examples and invaluable resources. Many districts and schools are exploring cost-effective methods of expanding their education technology integration and are increasingly turning to turning to PDA's as flexible alternative to expensive computer labs, classroom computers and laptops. 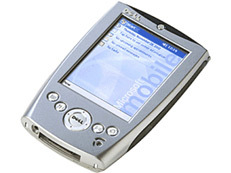 PDA's are versatile, compatible with most mainstream software and offer wireless connectivity. Infusing PDA Technology into Curriculum teaches educators the basic functions of the PDA and its ability to increase teacher and student productivity in the classroom. Using the Windows Pocket PC operating system, participants learn how to utilize fully the functionality of their PDA, to manage and coordinate both personal and professional activities and to develop and integrate subject-specific lessons for their individual classrooms. Infusing PDA Technology into Curriculum provides educators with class-ready sample PDA training projects, a process for PDA lesson creation and a broad range of tutorials, templates and web-based resources. Clearly, a cutting edge of educational technology involves PDA's in the classroom. Futurekids' Infusing PDA Technology into the Curriculum is the ideal way to lead the charge.